It was an evening filled with many stories, enough to fill a 47 year law enforcement career. The program began with Craig Floyd, Chairman and CEO of the National Law Enforcement Officers Memorial Fund, welcoming the audience and introducing the night’s featured guest, Commissioner Charles Ramsey. Floyd outlined the Commissioner’s impressive career, serving first as an officer with the Chicago Police Department who rose through the ranks, then moving up to Chief of Police in Washington DC, and finally retiring as Police Commissioner for the Philadelphia (PA) PD in 2015. Commissioner Ramsey began the program by telling the audience about how he “accidentally became a police officer.” As a young man, he worked in a grocery store where two officers frequently helped close up shop. One asked if he was interested in being a police officer. Despite plans to become a doctor, something about the offer had an appeal, including the fact that the department would pay for his college tuition. Ramsey signed up, became a cadet, and knew that police work was his calling. 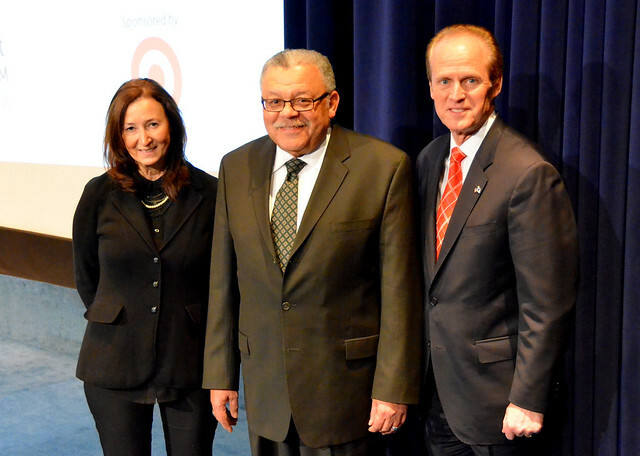 The Commissioner also shared how his philosophies on policing have changed over the years. “When asked what my fundamental duty is as a police officer, I used to say, ‘to enforce the law.’ Now I say that it is to protect the constitutional rights of all people. Those are two very different things.” He also stressed the importance for officers “to strive to make every contact [with the public] as positive as possible,” and that the job really is ultimately about service. Two of the biggest issues Commissioner Ramsey hopes to see change for police departments moving forward is a greater focus on community policing balanced with data driven systems, and more investment in the mental health of officers around the country. Finally, Mr. Floyd thanked Commissioner Ramsey for what he has done for the families of officers who have died in the line of duty, acknowledging those in attendance who came to see him for that very reason. Director’s Corner: Museum Construction Begins! 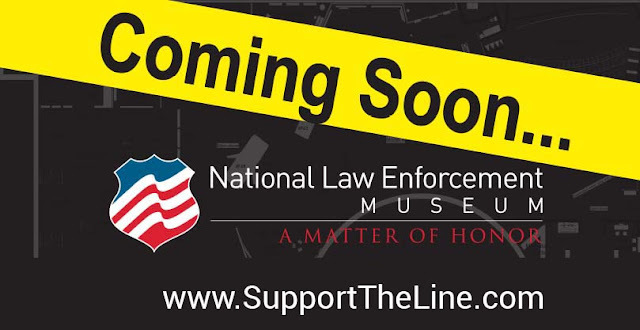 The National Law Enforcement Museum has officially secured the necessary financing to construct and complete our future home on E Street in Washington, DC. We crossed the finish line in late January when we closed on the sale of a number of municipal bonds that will finance the project. The DC Government has issued the building permit and the U.S. Department of the Interior has authorized us to proceed with construction which will commence this month — a major milestone for the museum and our team. We are excited to be working with Clark Construction, our general contractor, headquartered in neighboring Bethesda, Maryland. Clark is known for their museum experience and has worked on the National Museum of the American Indian, the U.S. Institute of Peace Headquarters & Global Peace Center, and the National Museum of African American History & Culture to name a few. To keep you updated on the Museum’s progress we will be setting up a webcam to stream the construction process. Check out the next Museum Insider for a link to the camera and in the meantime, please visit www.SupportTheLine.org for more details about the project.